﻿ Breakfast at Tiffany's Pension, Jeju Island | FROM $40 - SAVE ON AGODA! Have a question for Breakfast at Tiffany's Pension? "This place is beautiful and the owners of this accommodation are very friendly and helpful." "We will definitely come back here again!" "The bathroom comes complete with amenities from popular local brand Happy Bath." 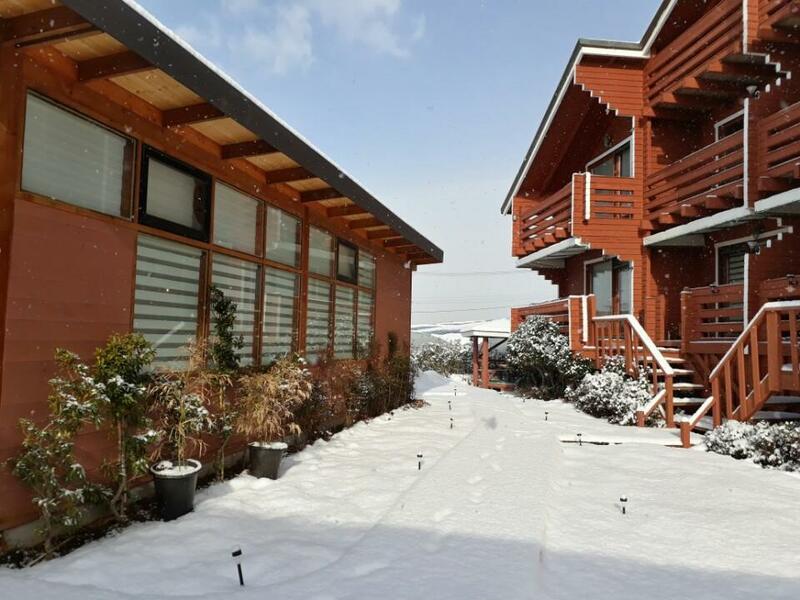 "Each room has its own kitchen area which we used to cook sma..."
Come rest at Breakfast at Tiffany's Pension in Jeju island, a Swiss-designed Alps chalet overlooking the sea with grand views of the Halla Mountain. Hidden quietly, yet not far from the key tourist area on the island, Breakfast at Tiffany's Pension is nestled in the perfect spot for your getaways. Whether you’re looking for a quiet break or to explore the island and its fantastic attractions, Breakfast at Tiffany's Pension will be your favorite choice with an abundance of help from the incredibly friendly owners. Don’t forget to visit and hang out at Café Moon River, a European-styled café on the ground floor of the property which is also where the complimentary breakfast is made and the wholesome local ingredients are served. Enjoy the scent of mandarin orange flowers in the wind of spring, enjoy the grand view of the ripe mandarin orange fields in the autumn right beneath your eyes, and be greeted by all the mountain bird calls throughout your stay. Breakfast at Tiffany's Pension is a dream come true. "Staff were so helpful and friendly." This was definitely the best choice of accomodation i made for the whole jeju trip! though fairly inaccessible, it is perfect if you have a car, because it is an escape away from the buzzling crowds and cities. throw in a nice wooden room with solid heating systems, a nice view, and friendly owners with delicious homemade breakfast, this is just the perfect little spot! My girlfriend had food poisoning in the middle of the trip, and on notifying mr jung, he immediately gave us a ride to the nearest hospital 20min away! as it was in the eary morning and the hospital was not open, he further drove us to another 24 hour hospital! there could be no better service then this. As my girlfriend was later given doses of medicine that made her drowsy and tired, we had to stay in a bit.. thankfully, the beautiful accomodation made staying in felt like such a wonderful vacation, and that we were not missing out on anything! Thank you Mr jung and family for the extended hospitality and I wish your establishment every success! will definitely recommend everyone with a rental car to stay here! 10 stars! Excellent stay! Love the place and the unique architectural of the hotel. Love the breakfast they serve, nice authentic home cooked food. Owner is very friendly and helpful, recommended us some great places for dinner during our stay. I would definitely stay at Tiffany's Pension if I visit Jeju again. very peaceful & comfortable stay,nice owners that gave us help in trip arrangement & prepared a very nice breakfast especially homemade orange marmalade & porridge. Breathtaking hotel view after snowing & both sea & mountain view from my room. Owners have some Mandarin orange trees that specially provide to their guest so can pluck off & eat it anytime and it's really sweet & juicy. 3d2n staying here was the most peaceful & enjoyable part for our Korea trip.Hope will back here soon & miss you here Mr & Mrs Cheng. 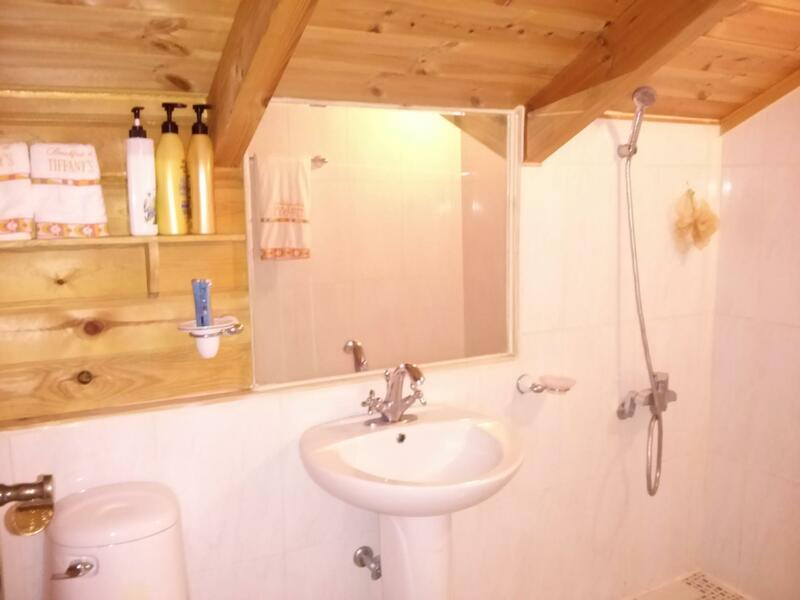 loghouse architecture gives a cosy feel.spacious room n toilet. homemade breakfast-porridge, toast w homemade marmalade n bun. Location is alil secluded but there are restaurants n convenience store within 5mins drive. were greeted by friendly owner Jung upon arrival at 9pm. He was so kind to even arrange dinner for us at nearby restaurant. Breakfast though not huge variety, is good n cooked by his wife. Ask to buy a jar of homemade marmalade if available. Bedding has heater which is a plus. Toilet is spacious with powerful shower. Rooms look out to garden w mandarin trees which we get to pluck off. Bbq pit is available. quiet, comfortable, and attentive service. The time here was perfect. Tiffanys is a B&B with just a dozen or so rooms in a very quiet neighborhood. the hosts are wonderful and the rooms are large and immaculate. the location is a bit hard to find so use a GPS or take a Taxi. (getting and driving a rental car on the island was a good choice and very reasonable, after a little shopping around) Tiffanys is a 5 min drive to the ocean and good food is easy to find. Many will happily deliver to the room. We were welcomed by the friendly host when we reached. is very helpful and he recommended places for us to eat and visit. My boyfriend and I love the breakfast even though it is really simple. We booked the deal early on agoda as they are having a sale which we thought it was really a good deal. As expected, the place is as lovely as what it is shown on the photos. We will stay there again when we visit jeju. Scenery, Nice Owner and comfortable room. There is no need for fussy check in. Owner greeted us when we drove up the porch and was immediately led to the room. The room is big and beautiful. It has bis screen television, hair dryer, stove to cook, cutlery, kitchen basin, kettle, attached toilet.. almost everything you need in a home. It is comfortable and location appears exclusive. Owner is very helpful in providing information on sight seeing and he speaks English. Breakfast is simple and nice. Porridge, bun and hard boiled egg with coffee and tea. Owner even offers us Jeju oranges which he grows in his orchard. Exclusive and view is beautiful. Good for honeymooners... Do nothing. Easy check in. Owner greeted us when we drove up the porch and was immediately led to the room. The room is big and beautiful with traditional ondol style. Bedsheet clean and comfy. Room has big screen television, hair dryer, stove to cook, cutlery, kitchen basin, kettle, attached toilet.. almost everything you need in a home. It is comfortable and location appears exclusive. Owner is very helpful in providing information on sight seeing and he speaks English. Breakfast is simple and nice. Porridge, bun and hard boiled egg with coffee and tea. Owner even offers us Jeju oranges which he grows in his orchard and told us to pluck as and when we feel like eating. The owner is a Korean couple who are friendly and helpful. They are good at English speaking and provide very useful information to us. The pension is a Jeju mandarin orange farm situated in a rather isolated area but easy to find by GPS. It is actually in the centre of Seogwipo and therefore easy for us to drive to the east or the west and even to Jeju City. We are lucky indeed in staying in November which is the harvest period of the Jeju mandarin orange. We are allowed to harvest the fruit and eat in the garden. It is a pleasant stay! we just stay a night in this hotel. 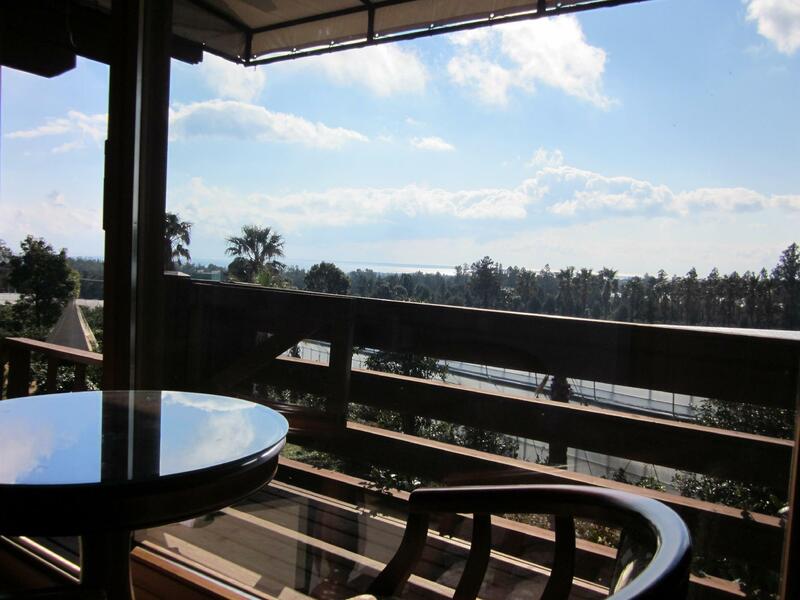 we chose a tatami room and we really can feel the home stay and enjoy the hotel environment. but the location was a bit far from town, therefore it is recommended you rent car to move around. somemore there is no public transport near the hotel. it is suitable for those who looking for a quiet and relaxation place for holiday. We just spend a night in this hotel. The hotel owner was very nice and friendly. He was recommend us the tourist spot to visit and he can speak good English. The selling point for this hotel is the environment as suitable for those who looking for relaxation stay. I will suggest to rent a car if you plan to stay here as the location was a bit far from the tourist spot and places for dining. The host was friendly and very helpful. Suggested alot of places to visit and places to eat. Although the location was abit isolated, it provides a quiet sanctuary for travelers to relax. The pension had a tangerine plantation and the host allowed us to pick the tangerines for our own consumption. The host also provided simple breakfast of homemade buns as well as porridge. Simple yet filling and has the local taste! The accomodation was clean with good attached bathroom. We chose the traditional hanok style accomodation and it was a good experience. The view from our room was good, able to see Hallasan as well as the open sea. Very good accomodation overall and I will definitely visit this accomodation once again in the future! Highly recommended! One of the most peaceful places to stay in at Jeju. Nicely located from most of the tourist attractions although you'd probably need to rent a car to get here or getting to and fro will be problematic. Don't expect too much fanfare from this resort per se as it is a home stay of sorts. Breakfast is also very simple but the very friendly owners make up alot for the warmth lacking in a cold cold autmn in Jeju! I will definitely return to this place if I travel again to Jeju. Oh, and remember to pop by this restaurant about 1km walk, serves very affordable meals (half price from Jeju city) and super yummy! the owner of the house is very friendly and helpful. He can speak good English. I like the breadfast very much, esp. the fresh-made olive red bean bread, it is not only tasty but very healthy. The room is big with open kitchen which is very suitable for couples and family. It is a place where you can truely escape the citylife and enjoy your trip in jeju. Staff were so helpful and friendly. Nothing we asked was too much. We did not hire a car so location was a little difficult but whenever we needed anything all we did was ask and it was provided for within minutes. I stayed here during winter in Jeju. The first thing we fell in love with was the woody smell of the rooms. The facilities are indeed modern. Beds are laid with electrical heating pads for our comfort. Each room has its own kitchen area which we used to cook small meals. The shower heads in the bathroom are the type with filter beads. The bathroom comes complete with amenities from popular local brand Happy Bath. These are just the small things which make you feel so at home. But the best part of our stay was the warm hospitality of lodge owner Mr Jung and his wife. Mr Jung is close to his 70s but still really active and outgoing. He took care of our heavy luggage, recommended us the attractions worth seeing in Jeju, drove us to the nearest bus stop when we were too tired to walk there, and called his friend who is a cab driver to bring us sightseeing. He and his wife get up as early as 4am to prepare breakfast for the guests. His wife makes a local type of bread from scratch. They are really dedicated in their work. Guests are welcome to eat the fruits from the orchard. The only thing missing was snow! Mr Jung recommends staying here in January as the lodge will be covered in snow. I look forward to this picturesque sight during my next stay here. 1. The extremely helpful hosts, Mr Chung. 2. The orange juice and orange jam made of hallabong! 3. 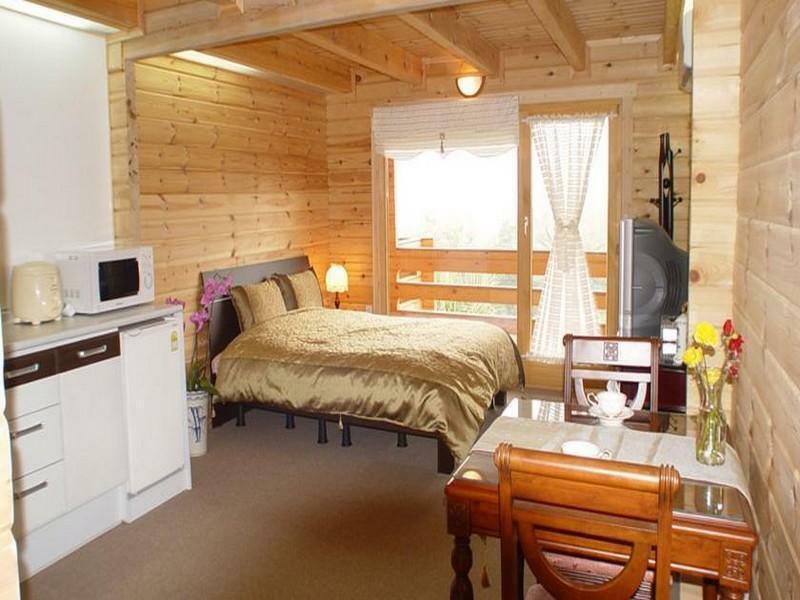 Close proximity to seogwipo which has awesome food and attractions nearby. The stay was extremely pleasant. Host helped us every morning to plan our itinerary in jeju, recommended to us the best things we could do and cover given our short stay in Jeju. They also make very very delicious orange jam which went very well with bread for breakfast, as well as serve orange juice that you couldn't find outside in the stores. Overall an extremely satisfying experience with Breakfast at Tiffanys. While the hotel is located quite in an isolated area, it's centrally located to the attraction to the east, west n south side. The owner is really friendly and give great advise on your itinenry. The breakfast while lacks variety but taste wonderful. The abalone porridge taste great! Room is really clean and Cosy and has heater is on bed and floor. The host and hostess are the most warmth people and they really made my stay memorable. They are the rare Korean that speak very fluent English, no barrier at all. The host gave good recommendation and even drove my family to a Black Pork BBQ nearby for dinner.